Find a great iD SIM only deal with our easy to use comparison tool. 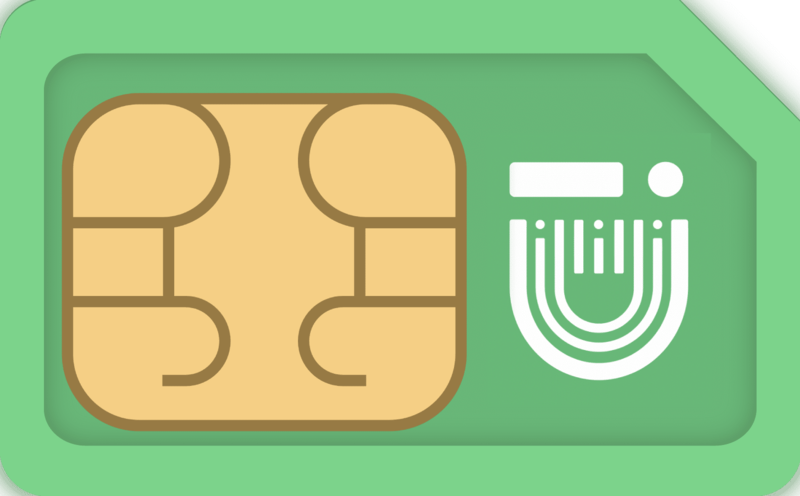 We compare the latest iD SIM only tariffs on PAYG, 1 month and 12 month deals. The network is owned by Carphone Warehouse and uses the Three network for it's 4G signal. With deals from under £5 per month, iD provides some very good value deals without long tie ins. Compare and save today. iD Mobile are relatively new on the UK market, having being around since 2015. The network is owned by Carphone Warehouse and uses the infrastructure of major UK operator Three to provide service. The network has made a name for itself by providing some of the cheapest phone service deals around. iD Mobile offer a simple and easy to understand range of both SIM Only and PAYG deals. iD Mobile have a variety of simple SIM Only deals as well as PAYG service. You won’t need to pass a credit check to use iD Mobile as your network operator, which could be good news for some. They do offer a few special features as well. You’ll have the option of rolling data over on your SIM Only deal, meaning you can take your unused data from this month and use it next month if you like. You can’t roll data over for more than one month, however, so data from January can only be used in February, not in March, for example. You also have the option of starting your next month’s plan early. So if you use up all of your minutes, texts or data before the end of the month, you can dip into next month’s allotment to keep you going. iD Mobile does offer monthly spending caps, so you can set a limit for yourself and avoid any unforeseen bills for the month. This cap is set automatically at £5 over your monthly contract limit. You’ll also get international roaming for free with no set up in 50 countries, including 46 European countries and 4 Eurasian countries. If you go over your monthly minute, text, or data limit and choose not to add on an extra package you will be charged iD Mobile’s regular rates for any service you use. This means paying 40p per minute for calls, 14p per text, and 10.24p per MB of data. However, due to iD Mobile’s spending cap once you have reached a total of £5 in extra charges you will be notified. iD Mobile does also offer Pay As You Go service. This is simple and is called the 3-2-1 Plan since it charges you 3p per call minute, 2p per text, and 1p per MB of data. iD Mobile does use data roll over. At the end of your billing month for SIM Only contracts any unused data will automatically roll over to the next calendar month. You cannot roll that data over to a second month, any unused data will disappear. So, January’s data can be used in February but any unused data from January will disappear at the beginning of March. February’s unused data, however, will be rolled over to March. iD Mobile uses Three’s network to provide service, meaning you get the same service as you would with a Three contract. Three’s network does NOT support 2G technology, so if you have an old 2G phone you cannot get service with iD mobile. However, they have 97% coverage in the UK for 3G service and 65% coverage for the faster mobile data speeds of 4G service. You’ll need to check the coverage map available on either the iD Mobile or Three website to check if you have coverage in your local area for either 3G or 4G. Tethering means using your phone’s data as a hotspot to connect another device, such as a computer, to the internet. Unlike some other UK networks iD Mobile does NOT allow tethering on any of their contracts. If you’re found to be tethering you may have your service cut off. Plus, tethering tends to use a lot of data quickly, which iD Mobile warns makes it difficult to keep to the spending cap on your contract. You will be responsible for any extra charges incurred whilst tethering even if they go over the £5 spending limit set on your contract.